Run as a Grand National Trial, it has produced three winners of the Aintree showpiece, Ben Nevis, Corbiere, and Amberleigh House, all going on to their place in racing’s hall of fame after winning here. It requires a touch of class to carry big weights in this with only two, the very useful Cloudy Lane, and Grey Abbey, managing to win with more than 11st in the plate in the last ten runnings. Nine of the winners in the last decade have been aged eight to ten with an eleven year old also collecting. Recent form is important, with nine of the last ten winners managing at least a fourth place in their previous race. Doncaster, on the face of it, is not a testing course, but handicap chases here tend to be run at a fair clip and if they go for home early, which they very often do, it can be a stamina sapping last four furlongs, so an ability to stay is of paramount importance. While the older animal has fared better statistically, it is worth noting that none of the last ten winners had contested more than thirteen handicap chases. Donald McCain and Keith Revely are the only two of Saturday’s trainers to have hit the target in the last ten years, but Tim Easterby did win with the only runner he has ever had in the race, Skillwise, (2002). Venetia Williams can be considered unlucky not to be on the score sheet as her Pentiffic fell at the last three years ago, and Renard finished third for her last year. Favourites have a poor record with only one obliging in the past decade, but it hasn’t been a race for big outsiders either, Night In Milan (14/1) being the only winner outside the top five in the betting in the same period. So what of this years renewal? Tim Easterby will be trying to maintain his 100 % record in the race with the 9yo Trustan Times,his first runner in the contest for thirteen years, and if the gelding can recapture his form of last April when a close third in the Scottish National, He would have excellent prospects of doing so. The 9yo hasn’t shown much since the Scottish race,but there have been excuses. The stable has been very badly out of form since last September, but has recently staged a renewal and the winners are beginning to flow. Trustan Times should certainly not fail on the stamina front,and considering he is one of only four in the field ( the others being Across the Bay, Wayward Prince, and Carlito Brigante ) to have been successful at CL1 level he looks quite well treated off a mark of 138 on Saturday. Well worth considering! Last years winner off a mark of 136, Night In Milan, clearly enjoys the South Yorkshire air as he has won twice, and been placed three times from his seven course appearances. He finished an honourable third, albeit beaten nearly ten lengths, here, off Saturday’s mark of 146, over an inadequate 3miles, five weeks ago, and will certainly require a best ever performance to defy Saturday’s impost of 11st10lbs. However this properly bred National Hunt horse may well be up to the challenge and is not easily dismissed. Charlie Longsdon’s Drop Out Joe looks interesting. A 7yo,with only three outings over the larger obstacles, his credentials for this aren’t immediately obvious. However he has jumped around Carlisle, ( won 2 1/2m ch sft) Cheltenham, ( 3rd btn 4l and25l by Kings Palace and Sausalito Sunrise 3m1/2f) and last time put in a remarkable performance at Ascot ( 2m51/2f gd/sft dec 20 ) where, virtually tailed off at the 13th, he ran on to such effect that he was only a shd and a hd behind the second horse, the very useful Thomas Crapper, at the finish. The performance of a stayer! Of definite interest if this 131 rated hurdler, assessed at 132 on his handicap debut turns up at the weekend. Ian Williams’ Super Duty’s last appearance in a steeplechase was the 2013 Hennessy, where he ran off a mark of 148. Sidelined for thirteen months, he made his comeback in a 3ml 1f hurdle at Wetherby four weeks ago, and proved his wellbeing when finishing 6th in a truly run race. If he retains his old ability he doesn’t look badly treated off his mark of 141 on Saturday, and is worth considering. Rebecca Curtis’ Champagne Rian put up an improved performance when winning a Cl4 chase ( 3ml sft jan 23 ) over the course, off a mark of 112. Raised 9lbs the 7yo has it all to do in a much better race, but lots of improvement can be expected, as that was only his third attempt over fences, and coming from this talented handler it would be no surprise to see this gelding with his featherweight, who is out of a Strong Gale mare ( should appreciate anticipated better ground at the weekend )involved at the business end. Racing Betting Tips BetBright Chase 3 Miles Kempton Saturday. 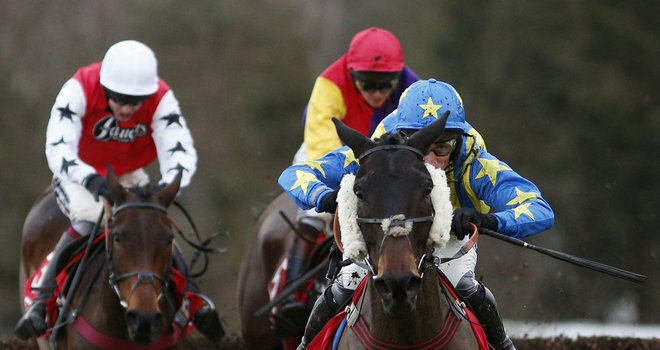 Lucy Wadham’s 7-y-o La Reve is our tips for the BetBright Chase. With eleven of the last sixteen winners carrying 11st or more to victory, weight is no bar to success in this, which firmly puts the spotlight on the classier competitor. Indeed last years winner Bally legend, who won off a mark of 138, was the lowest rated in the last decade and three of the last ten winners, Farmer Jack ( 2005 ), Gungadu ( 2008 ), and Nacarat (2012 ), all scored of a mark higher than 150. Tom George and Philip Hobbs have the best recent record, scoring twice in the last ten years, with Caroline Keevil, Harry Fry, Nigel Twiston-Davies, and Paul Nicholls collecting once. Course form has been a useful pointer, with ten of the last sixteen winners boasting a previous Kempton win, and it has to be said that the track certainly brings out the best in some animals. Favourites have had a desperate record, with only one succeeding in the last decade, and only three managing to finish in the first three. All age groups from seven to eleven have graced the winners circle in the same period, and earlier years have seen two six year olds win. Proven stamina has been important, with seven of the last ten winners having previously won over three miles. Good recent form has been shown by all except one winner in the last decade. Lucy Wadham’s 7yo La Reve would appear to have a lot going for him. He won his last race ( Cl2 chase 3m1/2f Sandown ), by a comfortable 5l, from that good yardstick Theatrical Star, off a mark of 139 and doesn’t look harshly treated off seven pounds higher on Saturday. Successful on his only course appearance, ( 2m5f h ) he does seem to be particularly well suited by going right handed, with all his five victories having been acheived in a clockwise direction. Certainly one for the short list! A winner of two of his five ventures over the larger obstacles, and three over hurdles, the Nicholl’s trained 7yo Easter Day looks well treated off a mark of 142, only 3lbs higher than his hurdles mark 139. He blotted his copybook last time out on trials day at Cheltenham four weeks ago, when travelling strongly he paid the price for a minor error at the third last and came down. Some feel that he was an unlucky looser, but I’m not so sure. The winner Annacotty had plenty more in the tank, so whose to know? However on the plus side he can race off the same mark at the weekend. He has never won over three miles, but certainly wasn’t stopping when beating the subsequent R.S.A. Winner O’Faolain’s boy at Ascot ( 2m51/2f sft ) to whom he was giving 4lbs, thirteen months ago. A winner over 2m6f hurdling at Newbury and Ascot, He is unlikely to be found wanting on the stamina front, indeed may improve for the step up to 3m and is shortlisted. Emma Lavelle’s 8yo, Fox Appeal, boasts a record of two course wins from four appearances, and ran second (beaten 10L), to the upwardly mobile Balder Success here in January. 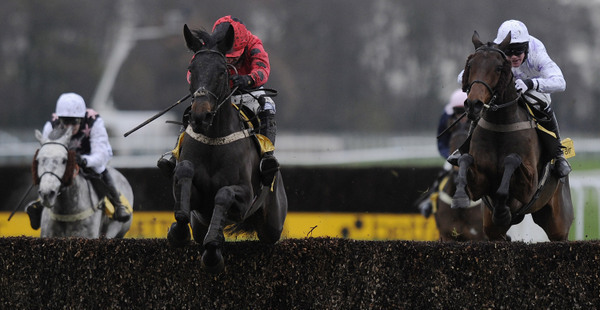 There are stamina issues, as the furthest he has won over fences is 2m41/2f,here at Kempton last November . He has won two 3m1/2f hurdles at Taunton, but Kempton’s 3m chase course, particularly, in races such as the King GeorgeV1 and Saturday’s contest, where they start racing in earnest a long way from home, can take some getting, so the jury is out on Fox Appeals stamina credentials. Dr Richard Newland’s 9yo Ardkilly Witness is worth a second look. Another who prefers going right handed (all four wins going clockwise) is one of only three course and distance winners in Saturday’s race. ( last years winner Bally Legend, and Ballinvarrig the other two. ) After some lacklustre displays he bounced back to form with a battling performance over course and distance (January 10th), getting up to win by a shd to beat Masters Hill, with the 7/2 favourite Open Hearted 16L back in third. He unseated at the 3rd last behind La Reve at Sandown three weeks later, but may have been feeling the effects of his previous hard race, so off his mark of 139 it would be no surprise to see him involved at the weekend. Course and distance winner Ballinvarrig, who was also placed on his only other course appearance, and trained by the twice successful Tom George, is of considerable interest. He had a hard race when winning over course and distance (Dec 27) off a mark of 126, and despite jumping errors ran well enough off his new mark of 133 to finish a battling on 6th (Ascot 2m51/2f). Returned to 3m at Kempton, with a nice racing weight of 10st 4lbs he is worth considering. With two victories from four course appearances, both over the larger obstacles, Jonjo O’Neill’s Lost Legend catches the eye. It looked like a staying performance when he got up in the last stride to beat Cold March over the course (2m41/2f) when having his first run for six months ( Jan10) off a mark of 139. Turned out again two weeks later at Doncaster he finished a well beaten fifth. The race may well have come too soon, so racing off a mark on Saturday of 141 he looks quite well treated. Twice a course winner, David Pipe’s Broadway Buffalo certainly seems to enjoy the Lancashire air. He looked the finished article when trotting up over the course ( 3m hvy ) in December, off a mark of 129, only to disappoint six days later at Wetherby. As a pointer to the winner of the big one at Aintree, Saturday’s race has been something of an irrelevance as none of the last ten winners of this have been involved at the business end of the National. Indeed with this years renewal being run before the weights for the big race have even been published, one has to assume that Aintree in April will not be uppermost in connections minds. However it is a very valuable and competitive affair which certainly stands on it’s own merits. As would be expected at Haydock this time of the year, with the surface invariably testing, Saturday’s trial is going to put a huge emphasis on stamina. All previous winners had winning form over at least three miles. Weight is also significant with only two, Silver by Nature, ( 2011 ) and Miko de Beauchene , ( 2008 ) managing to carry more than 11st to victory over the past decade. Both carried 11st12lbs. Lucinda Russell has been the most successful handler, scoring twice with Silver by Nature over the same period. Age has been no bar to success, with two eleven year olds and a ten year old winning in the last ten years, but significantly these older animals had been relatively lightly raced, contesting less than fourteen chases. Paul Nicholls who won with Shotgun Willy in 2003, is represented by the current favourite, (5/1) and top weight Benvolio (11st 10lbs). He ran a super race in the Wesh National, where having disputed the lead for the entire distance (3m 5 1/2f), in stamina sapping conditions, he was just run out of it in the final stride, going down by a shd to Emperors Choice, with Saturday’s opponent Glenquest 2 1/2l back in third. Now 6lbs higher and 4lbs worse of with Glenquest, he has his work cut out on Saturday. However he has been given a six week break to recover from his Chepstow exertions and coming from this yard is hard to dismiss. Nigel Twiston-Davies trains the lightly raced 10yo Benbens, who has had only nine races over fences and certainly looks interesting. He ran Saturday’s opponent, Samstown, to a nk over the course four weeks ago, ( 3m1f chase ) and meets that rival on 9lbs ( including Ryan Hatch’s 5lbs claim ) better terms on Saturday. He finished like a train to make up 5l from the last on the winner, and while some would argue that Samstown was idling in front, a 9lb pull looks significant and he is shortlisted. Samstown on the other hand, has no record of carrying big weights in handicaps and with a welter weight of 11st11lbs this out and out stayer is reluctantly passed over. Having finished fourth in both the Hennessy and the Welsh National Michael Scudamore’s Monbeg Dude deserves consideration . He is 8lbs better off with Benvolio for the 8 3/4L he was behind him at Chepstow, and this sometimes careless jumper, might well be suited by Haydocks less demanding obstacles. A winner of the Welsh National on heavy ground two years ago he certainly should’nt fail on the stamina front, but is another burdened with 11st11lbs. Twice a course winner, David Pipe’s Broadway Buffalo certainly seems to enjoy the Lancashire air. He looked the finished article when trotting up over the course ( 3m hvy ) in December, off a mark of 129, only to disappoint six days later at Wetherby. He can easily be forgiven this lapse as in all probability the race came too soon. Being by a son of Theatrical, out of a Le Bavard mare, he is bred to stay all day, so returned to his favourite track ( two wins from two outings ) he is another for the shortlist. Lucinda Russell runs the relatively lightly raced 11yo, Lie for It, who has raced eleven times over fences. He put up a strong staying performance at Kelso last time, ( 3m2f hvy ) beating a rejuvenated Harry the Viking by 2L. Both animals will appreciate the extra two furlongs at the weekend, particularly Sandy Thomson’s 10yo, who boasts a second in the 4m National Hunt Chase at the Cheltenham Festival. Certainly if the weather stays dry Harry the Viking on 5lbs better terms must have prospects of reversing the Kelso form. Only 1lb higher than when finishing a close third in last years Scottish National, Tim Easterby’s Trustan Times looks well treated. A winner of the Cl 1 Gd3 fixed brush hurdle over the course a couple of seasons ago, ( £45,000. 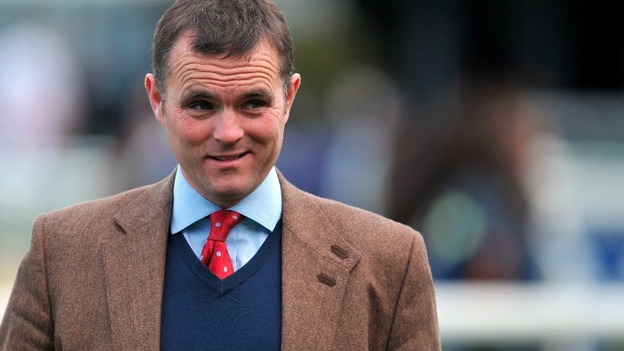 To the winner ) he hasn’t shown much in his three outings since his fine third in the Scottish race. However the stable has been badly out of form since October, and only recently has shown signs of a revival. Indeed the horse himself showed some promise last time at Musselburgh, so it would be no great surprise to see a prominent performance at the weekend. Alpha Victor is an out and out stayer who has a 100 0/0 record over the course. He finished second off a mark of 138 in a 3m1f hurdle and races on Saturday off 133, giving him a nice racing weight of 11st. He thrives on heavy ground, so if conditions deteriorate,he would be well worth considering. Gas Line Boy looked progressive when winning twice in November. He won off a mark of 128 at the beginning of November, and 18 days later hosed up by 13L from the subsequent Welsh National winner Emperors Choice over the course ( 3m5f ) off a mark of 132. He was pulled up in the Welsh National, possibly because of the attritional conditions, off a mark of 147, so doesn’t appear too badly treated off 142 on Saturday. Given decent ground at the weekend, another worth a second look. The winner of his last three races, and trained by the Welsh maestro Evan Williams, the 7yo On Tour, is definitely of interest. Known as the Schweppes Hurdle since it’s inception in 1963 until 1986, it’s early years were dominated by the legendary Captain Ryan Price, and his equally famous jockey Josh Gifford, who won four of the first five runnings. Historically weight has been a serious issue, with only ten contestants since 1980 managing to carry more than 11st. While Persian War lumped 11st13lbs in 1970 to victory, only Make a Stand, ( 1997 ) the subsequent Champion Hurdle winner, and Copeland ( 2002 ) have managed to win carrying 11st7lbs. However it is worth noting that two of the last three winners,Zarkandar ( 2012 ) and My Tent Or Yours, (2013 ) did break the 11st barrier. Age has also been significant with eight of the last ten renewals going to a 5yo or 6yo. 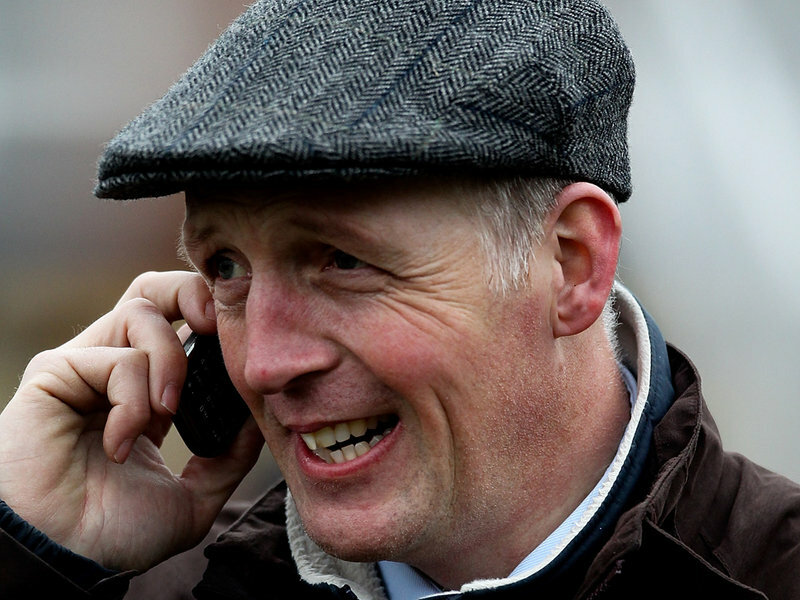 Gary Moore has been the most successful trainer over the past ten runnings, with two wins, Heathcote 2007, and Wingman 2008. Messrs Twiston-Davies, Henderson , Nicholls, Quinn, and O’Neill, have hit the target once, and the Irish have collected twice. Good recent form is important with four of the last six winners having won their previous race. The other two were placed. Top weight Sign of a Victory, from the Henderson yard, looked a world beater, when cruising home at Ascot in November of a mark of 139, but then flopped in the Christmas Hurdle at Kempton, trailing in 31L behind the brilliant Faugheen. While excuses can be made, (first run for eight weeks) it is difficult to envisage him being the first since the great Persian War, to carry top weight to victory on Saturday. Hendersons second string Vasco de Ronceray looked a progressive type when winning easily at Haydock in November off a mark of 135. Raised to a mark of 143 on Saturday he is set to carry a challenging looking 11st 6lbs, but in the care of N Henderson, is worth a second look. The winner of his last three races, and trained by the Welsh maestro Evan Williams, the 7yo On Tour, is definitely of interest. A winner of a small handicap at Stratford in October ( 2ml 3f ) off a mark of 122, he had no trouble defying a 9lbs rise at Haydock ( 2ml 4f ) in a much better race four weeks later. Raised another 7lbs for Saturday, giving him a racing weight of 11st 1lb he looks well handicapped. His ability to stay beyond Saturday’s distance is a further plus. One for the shortlist! The Paul Nicholls trained 5yo Calipto, is favourite at the time of writing, but to date has been dissappointing. There have been valid excuses, as in the Triumph Hurdle, he did seem to be travelling best of all, when his stirrup leather broke at the second last, and he finished fourth, 8 3/4L behind Tiger Roll. Despite starting favourite at Aintree three weeks later, he finished third, 4L behind the Triumph 3rd Guitar Pete. He again failed on his reappearance, beaten 1/2L by Tiger Roll, from whom he was receiving 8lbs. Diagnosed with a breathing problem, he has had surgery, so it remains to be seen if this solves the problem, and elicits some improvement. The jury is out! Winner of last year’ss Adonis Hurdle at Kempton Park, the Harry Fry trained 5yo Activial, has many of the requisite credentials for this. He ran a fine race in the highly competitive 18 runner Ladbroke at Ascot before Christmas, where despite stumbling, and losing his momentum at the second last, he got himself together, and only went down by a couple of lengths. He has been raised another 6lbs for Saturday, giving him a weighty looking 11st 6lbs to shoulder, but coming from this yard, must be seriously considered. Dan Skelton’s lightly raced 7yo Fascino Rustico was in the process of running a very promising race of a mark of 126 at Ayr last April, only to tip over at the second last. Not seen again until January this year, he has won both his races, novice’s hurdles, at Bangor and Newcastle, with his head in his chest. Confidence fully restored, now racing off 135, it would be no surprise to see him involved on Saturday. David pipe’s pair of 8yo’s Balgarry and Swing Bowler are worth a second look. Having only his second run for nearly 34 months, Balgarry ran with great credit to finish a good second in a cl2 Sandown handicap off a mark of 132, four weeks ago. Raised just 5lbs for Saturday, this very lightly raced animal has plenty more improvement in him, and looks well handicapped on 11st. Having finished third to My Tent Or Yours in 2013 and fifth to Splash of Ginge last year, Pipes very useful mare is clearly well equipped for the demands of the race, and with a nice racing weight of 10st 12lbs is considered. If getting a run,( needs a few to drop out above him in the handicap at the time of writing ) Garry Moore’s Violet Dancer, who was second in a Lingfield A.W. handicap two weeks ago, would be worth a second look.